Learn more about FIFA 19 through NEW gameplay and developer videos. 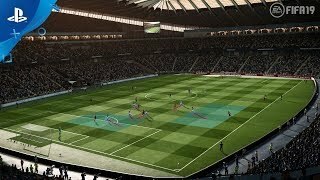 A re-imagined system in FIFA 19 gives you the tools to set multiple tactical approaches, offering in-depth customization pre-match, as well as more options for dynamic in-match adjustments from the D-Pad. Each tactical approach combines formations, mentalities, and attacking and defensive play styles, enabling you to easily customize your play in any situation. 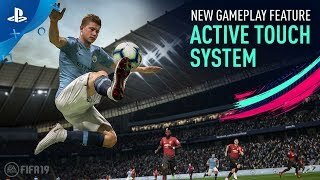 The new Active Touch System in FIFA 19 fundamentally changes the way you receive and strike the ball, providing closer control, improved fluidity, creativity and increased player personality. Utilize a suite of new first touch tools, like the disguised touch, flick-up volleys, or even skill specific animations, like the Neymar Trap, to beat your opponent and create scoring opportunities.. Experience elevated control in striking with new Timed Finishing in FIFA 19, putting you in control of how accurately you connect with the ball. Whether it's a hit from outside the box, a precision header, or a deft touch, timed finishing adds a new layer of control to chances in-front of goal in FIFA 19. Download wallpapers for FIFA 19. 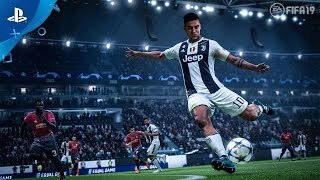 Led by the prestigious UEFA Champions League, FIFA 19 offers enhanced gameplay features that allow you to control the pitch in every moment, and provides new and unrivaled ways to play.